Ultra-Web® Spunbonded Antistatic Filter Cartridge for Donaldson® and Torit® Dust Collectors, available with or without end cap. 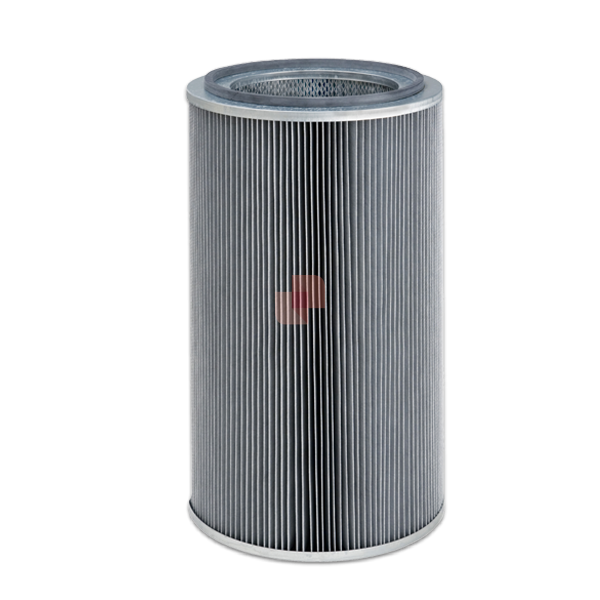 Filter Cartridges are filtering solutions suitable for Dust Collection in Air Filtration. Cleanable and reusable in most applications, Filter Cartridges have a wider filtering surface area compared to traditional Filter Bags for efficient particle removal with very low pressure drops; are easy to install and replace and require a low consumption of compressed air for cleaning. The filter media used for Cartridge Filters realization are mainly Pleated or Spunbonded Polyester, Antistatic Aluminized Polyester, Polypropylene and Cellulose. Donaldson® Filter Cartridges are engineered to meet high standards for media efficiency and manufacturing quality, to ensure your dust collector provides the highest levels of worker safety, environmental protection and regulatory compliance. The distinguishing factor in Donaldson® Ultra-Web® Filter Cartridges is the nanofibres filtration technology: with a layer of fibres 0.2 to 0.3 microns in diameter Ultra-Web® Filter Cartridges can capture contaminants less than one micron in size. With nanofibre media, dust particles rapidly accumulate on the filter surface, providing the highest filtration efficiency on the surface of the media and prolonging filter life. Donaldson® Ultra-Web® Filter Cartridges AS are characterized also by the presence of an antistatic substance (with electrical resistance less than 108 ohms). Looking for a product not listed? The product you're looking for is not listed here or result currently sold out? Request us or even suggest other products you'd like to see on AEROFEEL.